In the season of ice and snow, DC brick walkways and steps become a challenge for homeowners. The problems is that salt or other chemical de-icing products should not be used to remove ice and snow from brick walkways. These products can damage and stain the bricks, degrade the mortar joints and harm any nearby vegetation. There are safer options! 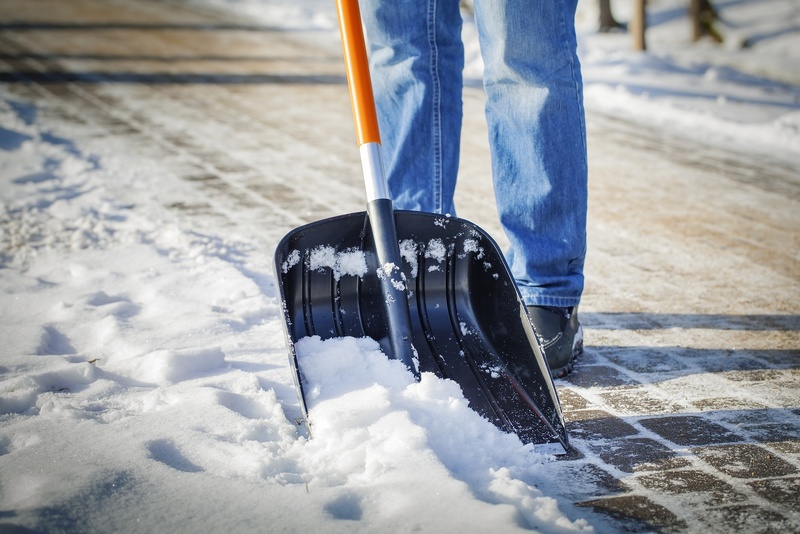 A shovel is probably the safest tool to use when removing ice and snow from brick steps and walkways, but sometimes it is not enough. As a safe alternative to chemical or salt application, sand can be used to help. Another reliable tool is a small home snow blower, which usually come with rubber paddles that will not damage brick pavers. If the pavers are lifting – a common occurrence due to ground frost - contact masonry contractors in DC for repair or restoration before winter. What Are Chemical De-icing Products and How Do They Work? There are four primary de-icing salts for ice and snow removal. Some of these are less damaging than others. Potassium chloride is not a skin irritant and does not harm vegetation. It only melts ice when the air temperature is above 15 F., but when combined with other chemicals it can melt ice at lower temperatures. GOOD choice. Calcium chloride is another deicing salt. It comes in the form of rounded white pellets. It can cause skin irritation if your hands are moist when handling it. Concentrations of calcium chloride can chemically attack concrete. Use CAUTION. Sodium chloride also known as rock salt, is the most common deicing salt. Rock salt releases the highest amount of chloride when it dissolves. Chloride can damage concrete and metal. It also can pollute streams, rivers, and lakes. AVOID. Note: Products containing ammonium nitrate and ammonium sulfate should never be used since these will break down even the most durable masonry materials. Are There Safer Ways to Use a De-icing Product? Follow the manufacturer’s instructions for use and safety. Before applying, shovel and remove as much snow and ice as possible. Apply the product sparingly in the area of highest foot traffic. Apply the product away from the base of the building. Mix sand with the de-icing product. In the spring, wash down sidewalks, steps, and areas near vegetation to help disperse the residue of the product. Renaissance Development, a leader in brick restoration and historic preservation, specializes in residential exterior tuckpointing. We use traditional methods and materials in the restoration of a historic brick building’s mortar joints. Contact us for a free site visit and project quote.